It’s International Save Bears day today! Today, 21st February, is International Save Bears day. In celebration of this day we are taking some time to reflect on the many bears that have been saved to the bear sanctuary in Romania, and those who are due to be saved next year. Since its inception in 2007, over 70 bears have been saved to the bear sanctuary in Romania. This is a startling achievement and has meant that many bears are now able to call this beautiful haven home. 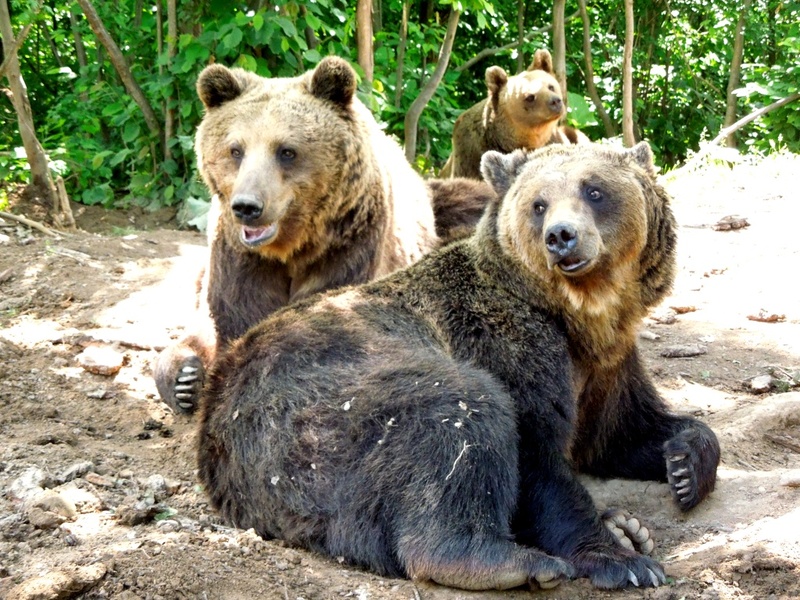 In 2014, it is anticipated that at least 8 more bears will be saved to the bear sanctuary. 7 of these will be rescued from a breeder who is selling cubs online. This practice is illegal and must be stopped. Many of the bears at the sanctuary have touched the heartstrings of volunteers since 2007. Their stories are often devastatingly sad, yet their rehabilitation at the sanctuary gives an inspiring and touching end to their troubled pasts. Maia was the first bear that was discovered that desperately needed rescuing. Kept in a tiny cage outside a restaurant for all of her life, she was in a desperately poor condition and self mutilating- she was biting her limbs badly causing bleeding and infections. Unfortunately, by the time the sanctuary had been created, Maia had lost her life. The sanctuary is dedicated to her memory, striving to avoid any bear having to suffer that fate. Max is a very well known and much loved bear. Blinded by his owners to prevent escape, he spent many years of his life standing outside a restaurant to attract tourists. In 2008 he was rescued and brought to the sanctuary, where he received special care and attention until he started to be able to move about on his own and feed himself. This means that he cannot live with the other bears, but has his own enclosure with a pool in the woods, where he can communicate with the other bears and develop his other senses. Watching him listen for where the food lands in his enclosure, and smell out where it is, is very moving. Oyster has been sponsoring Max since 2009. Rudi was rescued as a four month old cub, found wandering around alone and lost near the outskirts of Brasov. In the cold winter months, bears are known to stray into the outskirts to search for food in rubbish bins. It is thought that Rudi’s mother came out of the forest in search of food and somehow became parted from her cub. Unfortunately for Rudi, it was not possible to release him to the wild- without his mother to teach him how to survive, he would have died. He was taken into the sanctuary and hand reared by the staff until he was old enough to be released into the large enclosures and integrate with the other bears. These stories may seem sad, but these bears are now a far cry from the sorry state they were in when they arrived at the sanctuary. You will learn a lot more about them when you get to Romania. Help us celebrate International Bear Day by sharing these stories and the work that Oyster does in Romania. For more information about volunteering with these bears, have a look at our bear volunteering page. Previous Post Happy Tamang New Year!